Meg had surgery on Monday morning which should help with her late-night yowling for a boyfriend. 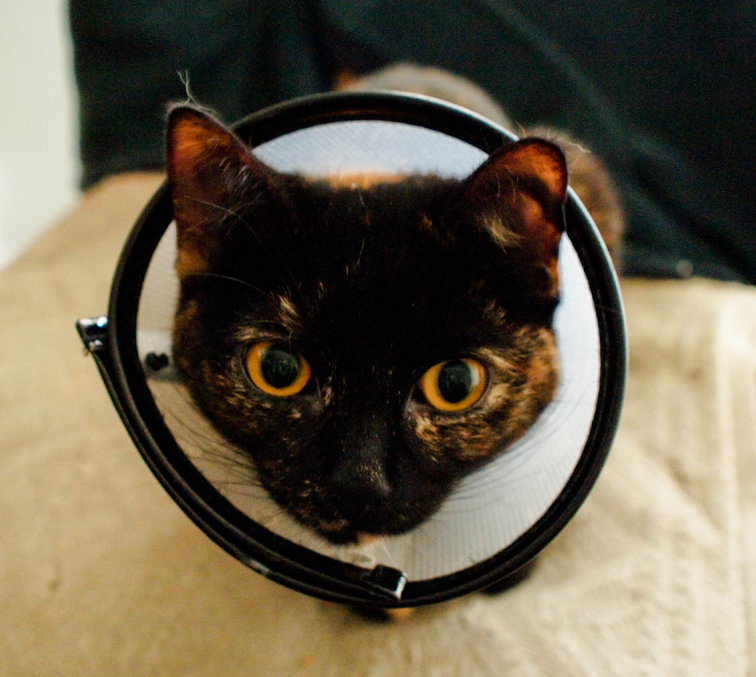 She returned home Monday afternoon wearing the cone of dignity. She hates it, and I hate it for her. I feel sad and guilty whenever I look at her.